Most of us use reclaimed or recycled wood due to a few reasons. One of the reasons is because all wood acquires a patina with age and the longer its lifetime the looks of the wood will be much better. You will notice that old growth lumber comes with a tight grain pattern and when it is dried, it will become strong and will not be able to twist. The lumber is also an ecologically friendly. According to statistic, since the year 1900’s, at least more than 3 trillion board feet of lumber have been produced and by doing some reclaiming of the woods make sense not only to the environmental but also to the economy. First thing that you need to do is to look for the area that you can source for reclaimed wood. You will find that reclaimed wood is available at any online specialist wood dealers or even from second hand or recycle building material dealers. Another place where you can find reclaimed wood is at demolition sites but you need to ask permission first from the person in-charge before you would be able to collect them. Always think of your safety whenever you are working with reclaimed boards by wearing a dust mask and goggle. As for the wood dealers, they get their reclaimed wood from old telephone and power poles, railway sleepers (ties), large crates or even from logs that had sank beneath the bottom of your nearby rivers. For your information, the best location to get best hardwood is in Australia with wide range of recycled and reclaimed woods which include Jarrah, Karri, Marri, Blackbutt, Wandoo and Tasmanian Oak. You can look for it through the Fremantle Timber Traders where the reclaimed woods never fails to provide you with its beauty, strength and also durability which is good for making house flooring, furniture and renovation work. If you are buying from a dealer, you must make sure to ask them whether they already have removed all metal fastenings on the wood such as nails, bolts or other kind of embedded metals. Even if they said that they have removed them, you need to really make sure that before you use any of the reclaimed wood, you need to look for black or blue stains on the wood because these stains will indicate that there are still metal fastenings that might have been broken off below the surface of your reclaimed wood. Then, you need to use a tape measure in order to determine the actual dimensions of the reclaimed lumber. Another thing that you need to check is traces of cement, tar or preservatives on the reclaimed wood. If you want to detect the existence of creosote, you would be able to do it just by smelling the wood. 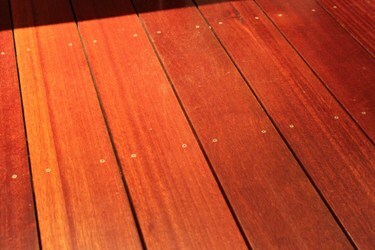 If the lumber that you have is treated with creosote, it will not be a good choice of wood to be use for your projects. Whenever you want to prepare reclaimed wood, you must make sure to clean the wood by power washing the wood. This is to remove the surface off from dirt and grime. Once you do that, you need to allow the wood to dry thoroughly. If there is still dirt remaining on the wood, you can also use sand or even an old planer to remove it or the marks that you find on the surface of the woods. You must take note that old paint will likely contain lead. As for project that requires an unpainted wood surface, you should be using reclaimed wood which is not painted. Do not even attempt to sand the wood in order to remove the paint. Always ensure that the wood has never been coated with paint. Sanding the paint off your reclaimed wood is a big mistake and dangerous because the lead and other chemical from the old paint can be become airborne during the sanding process and in the end seep into the wood. Finally, you can use a joiner to enable you to square up the edges for the project. Always remember that whenever you want to work with reclaimed wood is the difficulties that you will be facing when the wood are embedded together with pieces of metal. In order to handle the above situation, you need to get the wood close in dimensions that are close to your requirements and it need to be surface plan according to certain size. Always make sure to put safety first whenever you are working with reclaimed wood. Even if you know all metal has been removed, you must ensure it is safe to work by using a metal detector so that you can check for any existing nails, screws or other kind of small pieces of metal that might still be embedded with the wood. Another tip that you can use is by keeping your reclaimed wood clean and placed it in the area where you will be installing them. By doing this, the moisture in the room will help the wood to bend, crack, warp and move around. By giving it some time to warp before you do your task of installation will help you prevent the wood from doing it much later and also save you from encountering problems in future. This entry was posted in Home Improvement on December 25, 2011 by Mike.